Gentlemen, let your significant other know that this year, she can forget about the chocolates. What you need and what you want is a trip to your favorite old fashioned barber shop in Woodstock, GA for a fresh haircut and one of the manliest things ever; the straight razor shave. 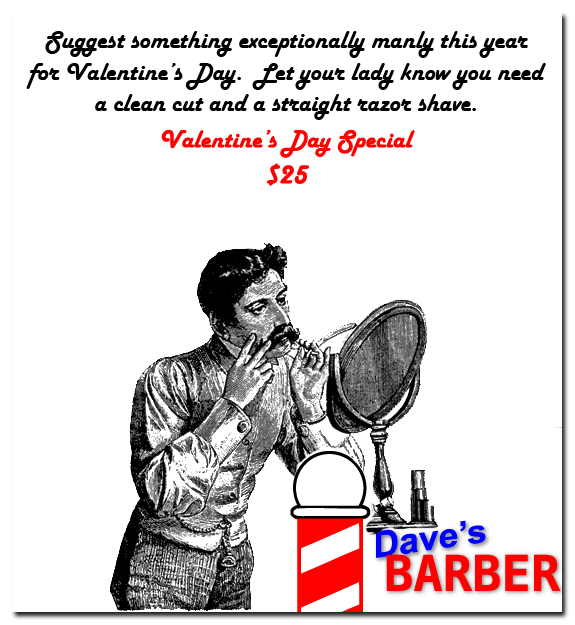 From now until Valentines Day when we close up, she can come by and let us know that she wants to pick up a Valentine’s Day Special for a haircut and a shave for only $25. When you come in to the barber shop, you can redeem both services at the same time, or split them up in any order. You decide.